The only brides you’ll see in tiaras nowadays belong to the royal families of the world. 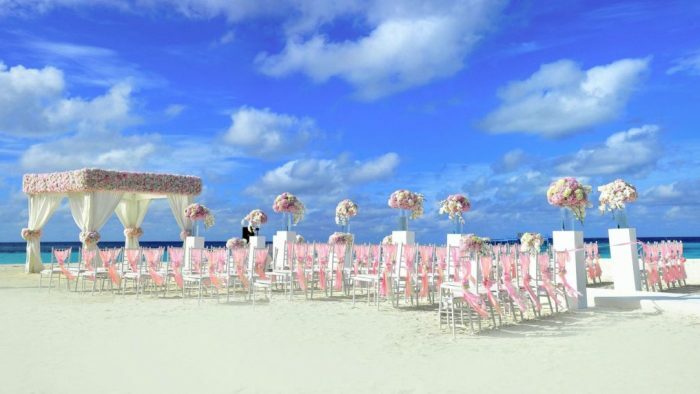 The modern bride is more adventurous and daring when it comes to her wedding-day look, making for a stunning display of individuality and personal style. 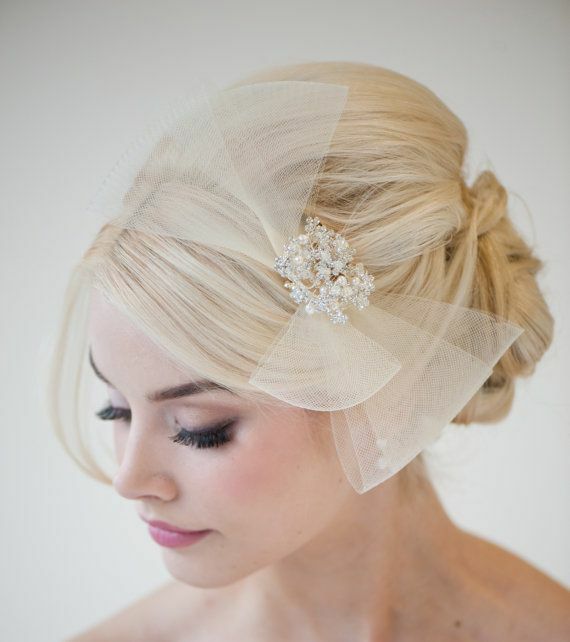 For a glimpse at the trending bridal hairstyles throughout the past year, check out our recent post. 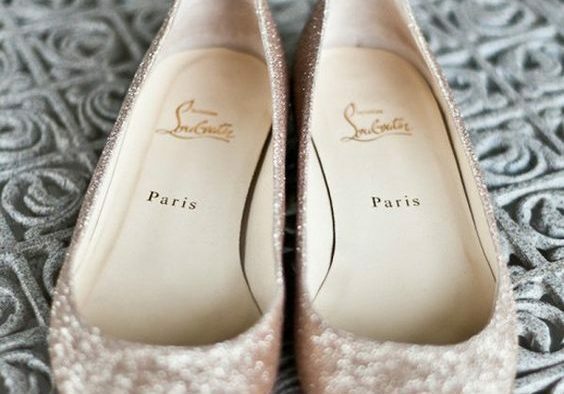 However, what would a wedding-day ‘do be without the bling, sparkle and accessories — the icing on the cake, so to speak? Nothing. 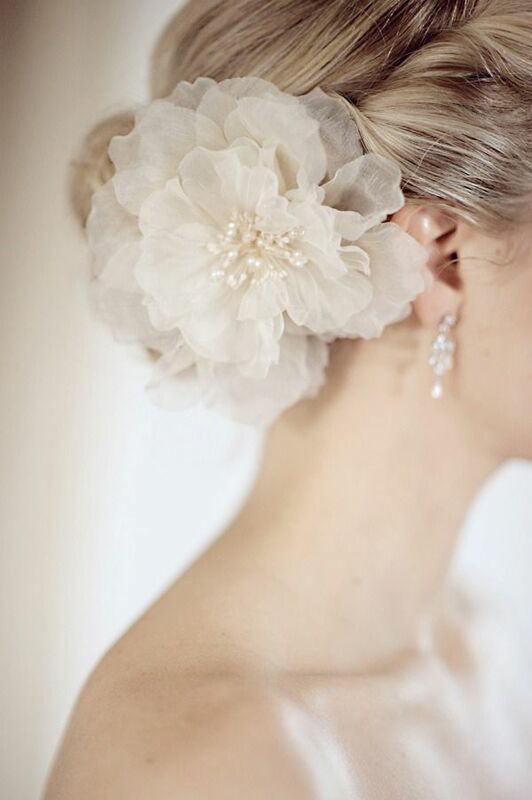 Whether it’s over-the-top and dramatic or something more delicate and dainty, there’s an accessory for every bride. Last year we saw headbands explode; headbands of pearls, jewels, flowers, lace, tulle — you name it. Also big? 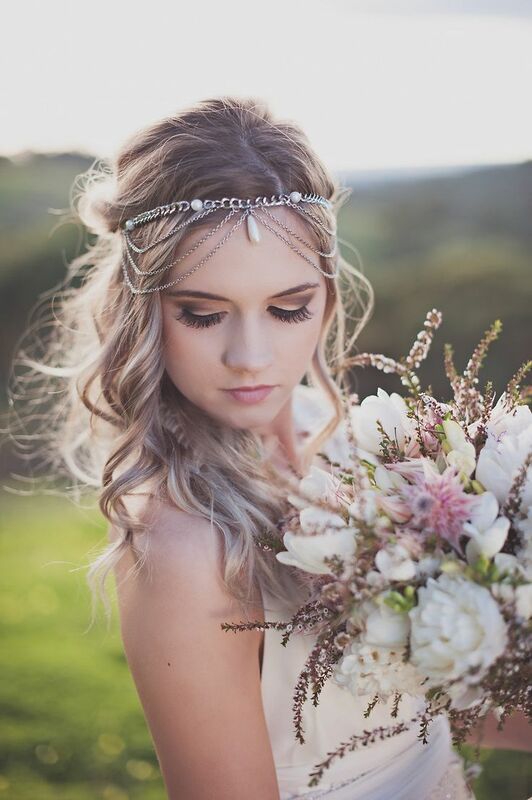 Boho-inspired styles like forehead jewels and flower wreaths. 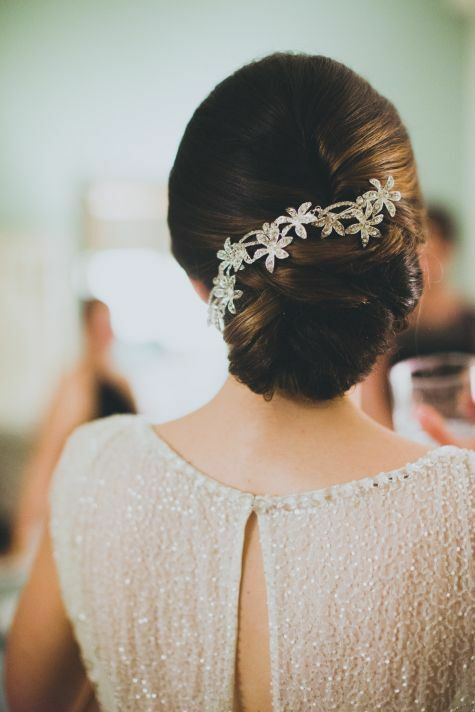 PINNED TO PERFECTION: A simple, sophisticated up-do calls for a splash of sparkle neatly pinned in the back. THE MODERN TIARA: Halo headbands are the tiara for the modern bride. Worn closer to the forehead and nestled between tousled locks, this fashion feels truly princesslike. 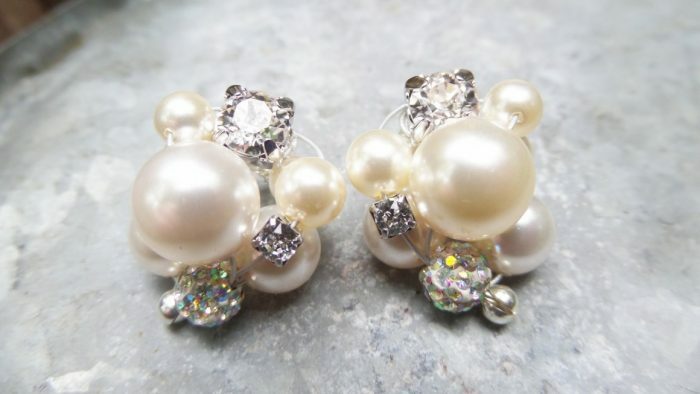 Maleable and wired, brides can bend these as they please for the perfect position. HELLO, HALO: We are majorly crushing on whimsical fresh flower wreaths. 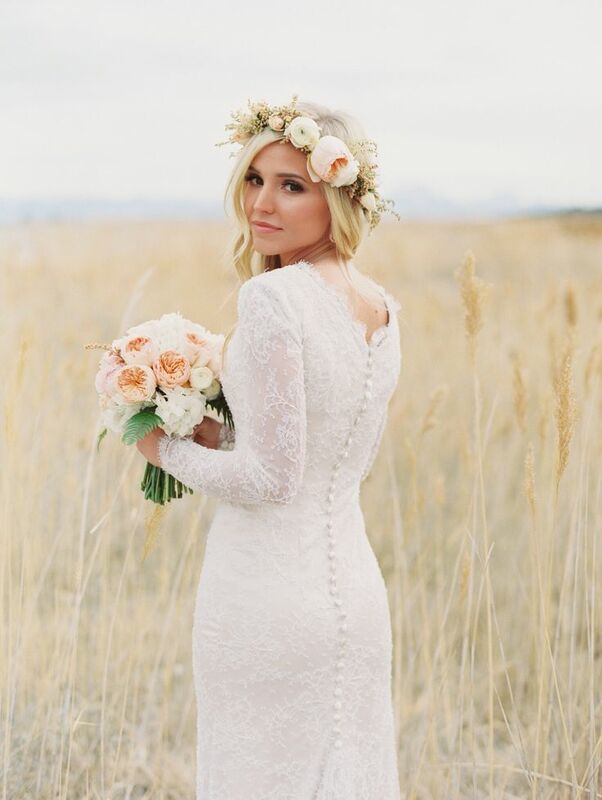 Especially beautiful for outdoor weddings, brides will blend seamlessly with nature sporting these ethereal toppers. UNCAGED: Birdcage veils have been back on the scene for the last five years or so, and they’re still popular. 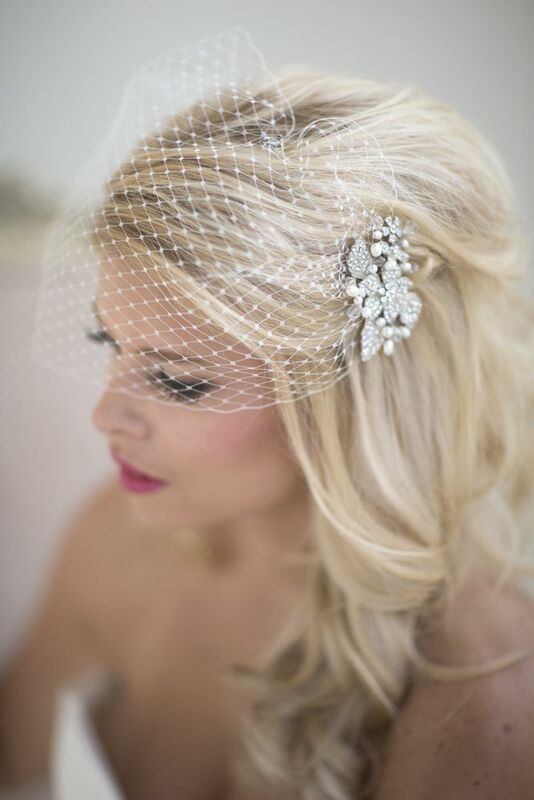 Contemporary and retro just the same, birdcage veils give the effect of a traditional veil without the hassle. Did we mention they are photogenic? 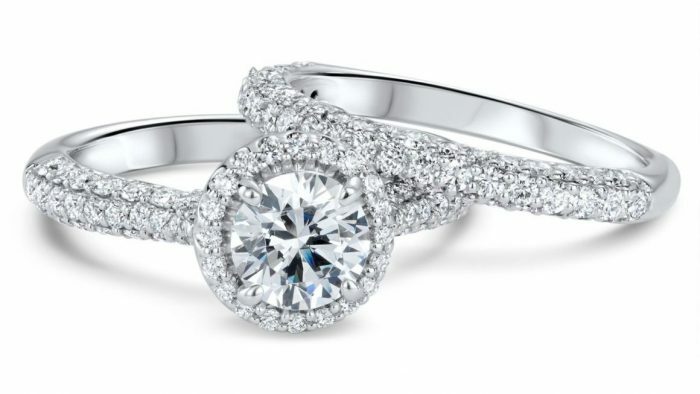 LOVE IN BLOOM: Nothing beats a beautiful bloom tucked right behind the ear. Silk or fresh — stunning either way! BOW DOWN: As if tulle and bows couldn’t get any more feminine and romantic — combine them!